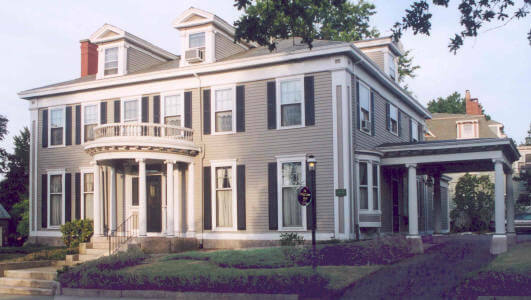 Built in 1845-1846 for Whaling Captain Benjamin Clark and his family, this three-story Georgian Revival home is now one of New Bedford's leading B&Bs. It features elegant common areas and individually decorated guestrooms with private baths. ------- If you appreciate antique chandeliers, leaded glass windows, and marble fireplaces... step inside. ------- If you enjoy generously sized guestrooms, eclectic decorations, and homemade breakfast treats... stay the night. Recommended for children over 14.